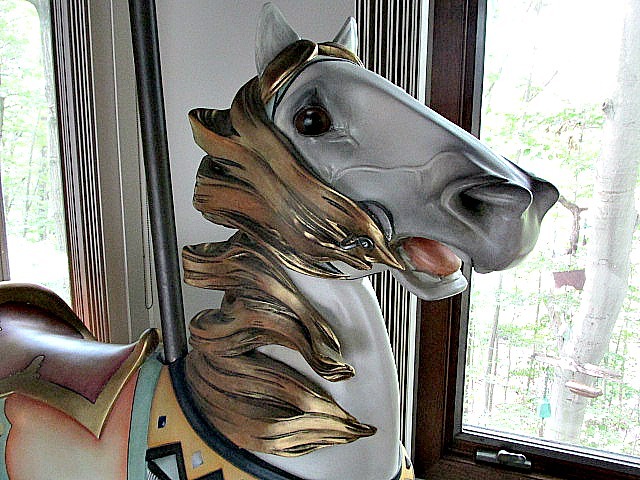 Carved by the New York carousel manufacturing company owned by Marcus Charles Illions, circa 1915, and restored in 1995. 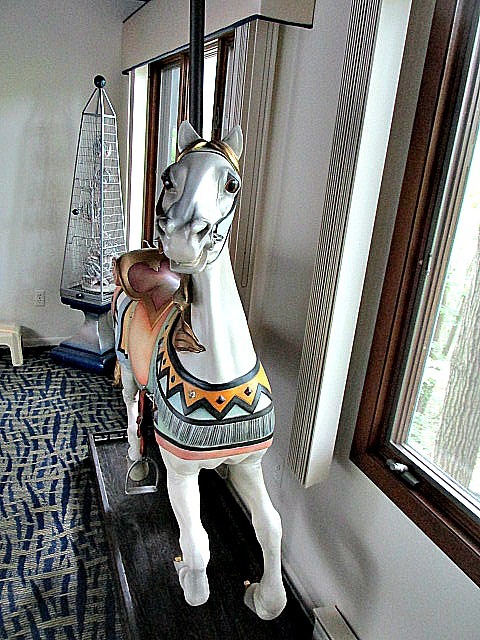 Currently it resides in Holmdel, NJ. 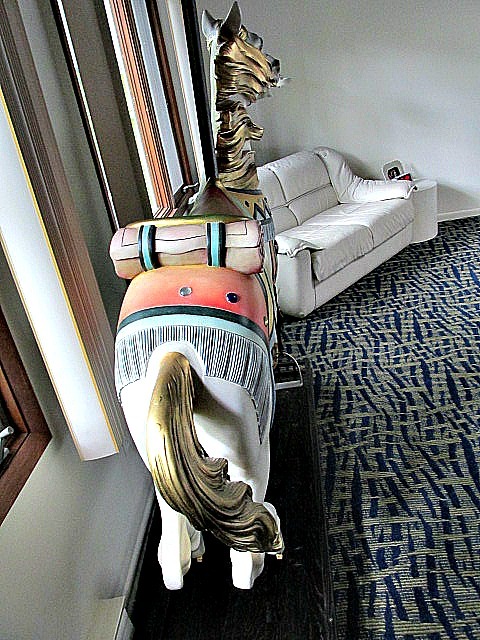 Length (rump to bust) - 46"
The horse is in very good condition. 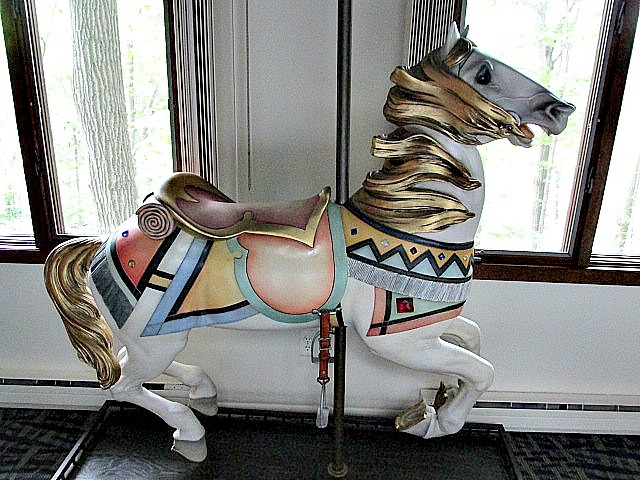 Purchased from Guernsey's Carousel Auction, NY, NY on 6/22/95 for a price of $8,000. 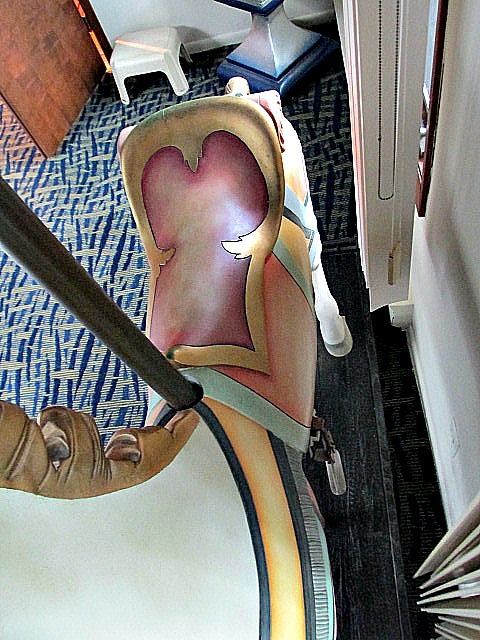 It was restored in July of 1995.